Like a dishonest dinner host: Understanding Steinhoff’s off-balance sheet fiasco. A lot has been written about the Steinhoff Saga. And you can expect a lot more to be said in the coming months. To really understand what some of the accusations are that has been levelled against the ex-chief executive officer you need to have a basic understanding of accounting and the mechanics thereof. However not everyone does understand it, we will all be impacted by the repercussions of the events of woeful-Wednesday, 06 December 2017. A set of company financial statements consist out of a statement of financial position, commonly referred to as the balance sheet, a statement of comprehensive income, commonly referred to as the income statement, a cashflow statement and a statement of the changes in equity. These statements are then supported by several notes, disclosures and schedules detailing the numbers and any facts relating to the figures reported. To ensure comparability between different companies and industries a set of International Financial Reporting Standards (IFRS) are applied when compiling any set of financial statements. The balance sheet is a summary of the financial position of a company on a specific date. In other words, this statement will provide the reader of the document with a summary of all the assets and liabilities of the company. Think of this as a picture showing the shareholders how the company is looking health wise. The income statement is a summary of all the income earned and expenses incurred between two dates. This statement will also reflect the company’s ability to generate a profit. Keep in mind that the profit shown on the income statement doesn’t always translate into cold hard cash. There is an ocean between profits and the ability to generate cash. It is very easy to always sell your products on credit and show massive profits, however if your debtors don’t settle their responsibility towards your business you will not be generating any cash. The cash flow statement reflects how the business generates cash and how that cash is deployed in the business. So, what can we learn from the unfolding Steinhoff story? Some of the allegations made against the board of Steinhoff is that they used so-called off-balance sheet companies to bolster the balance sheet of Steinhoff itself. Before we can go in to what this means, we need to understand why would management be willing to do this and what is the balance sheet used for. When a person, this goes for legal as well as a natural person, applies for any form of credit the bank, investor or any third party reviewing the application will analyze the balance sheet of the company. In short, they would want to see that the balance sheet has sufficient assets available to warrant additional debt. Think of the assets as a pizza that you would want to share with friends – if you only have eight slices of pizza you can only realistically feed eight friends. So, the company would want the balance sheet to “look” as good as it can, for them to raise as much as possible debt and capital. This is where the role of an auditor becomes very important. In one sentence an auditor is appointed by the shareholders to perform an independent audit of the financial statements to ensure that what is reported in the financial statements are a true reflection of what has happened in the period since the last set of financials were published. Without an independent auditor the company could report whatever they like on the financials and no one would be any wiser. Read also: Steinhoff fiasco: Here’s how much Coronation, Foord, Sanlam and friends lost investors! No one of us would like to have an auditor running around your dinner table ticking and bashing every dish in order to provide your guests with the assurance that you did in fact prepare this meal. Just as you would like to make sure that your guests have enjoyed your event and are willing to invest more time with you – so would the board of a company want any potential investor to be willing to invest further funds in their business after spending time on the financial statements. IFRS has a standard set of rules to determine whether the financial records of a company should be included in the financial statements of the reporting company. Similar to social convention dictating that we should act honestly towards our dinner guests. Much as the host of the dinner party wanted to impress the guests, so did the board of Steinhoff want to impress the financiers and investors of their business. If the dinner table and event is the hosts social balance sheet, the takeaway container is his off-balance sheet vehicle. There is a responsibility on the host to come clean to his guests. So, the allegations made is that the board of Steinhoff showed only the what they wanted to show on their balance sheet and not the whole picture. The jury is still out on whether they should have included the entities concerned or not. 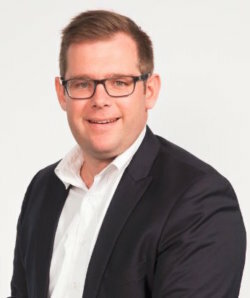 Enrico Liebenberg is a director of Five Oaks Consult.